Give the big spender in your life the perfect gift with our Engraved Silver Money Clip. This wonderfully elegant money clip is designed with a sleek silver finish, and is thin enough to be carried in any pocket. It securely and snugly holds bills that can be retrieved easily when needed. The Engraved Silver Money Clip makes a great gift for the groomsmen. Give them out at the rehearsal dinner or surprise them at the bachelor party. Be sure they use them when they buy the drinks for the night! Our Engraved Silver Money Clip immediately creates an air of distinction. Its classic style and regal look will make even one dollar bills look like hundreds! Surprise your father or brother by having one engraved especially for him. The Engraved Silver Money Clip makes an excellent gift for far away friends too! Due to its portable size, it can be easily shipped. But make no mistake, this gift packs a big punch. Buy a few lottery tickets, or stick a gift card inside and you'll surely put a smile on someone's face! Father's Day is a great time to give our Engraved Silver Money Clip. Have one personalized for that father figure in your life and present as a token of your appreciation for all they've done for you. 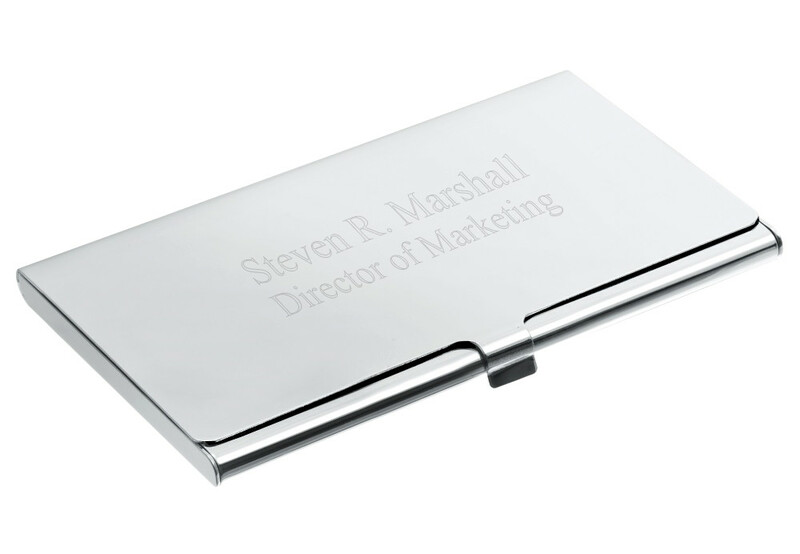 The Engraved Silver Money Clip is a great way to show that star employee or inspiring boss how much you care. Let them know that you value them by giving them this stylish gift. Corporate events are wonderful occasions to hand these out to the top players on your team as well. Tuck a cash bonus inside and watch their work ethic soar! No matter how you choose to give the Engraved Silver Money Clip, with or without money, it will be sure to become a priceless keepsake.